Brenda Terry is a licensed and certified Physician Assistant at Georgia Behavioral Health Professionals in Smyrna, Georgia. Brenda draws from both her experience in social work and in psychiatric medication management while performing thorough psychiatric evaluations and managing a number of disorders including addiction, depression, anxiety, bipolar and schizophrenia for patients 16 years and older. In 2012, Brenda was one of only two Physician Assistants in Georgia recognized by NCCPA based on testing of PAs who were able to demonstrate superior knowledge of psychiatric medicine. Importantly, Brenda has developed and maintains active relationships with a robust network of qualified therapists who refer patients based on their trust in her ability to manage the psychotropic medication needs of their patients. She is supportive of patients of all sexual orientations, cultures, ethnicities, and religions. Her dual degrees include a Bachelor of Science degree from Baylor College of Medicine and Bachelor of Science from the University of Alabama. Terry has provided psychiatric medication management services in the metro Atlanta area since 1994. Brenda's medical license is issued by the Georgia Composite Medical Board and she works with two supervising physicians. Professional associations include her membership in the American Academy of Physician Assistants and the Association of Physician Assistants in Psychiatry. 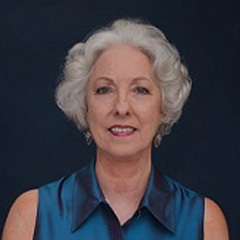 In each of the last three decades, Brenda has satisfied the stringent recurring requirements of the PA profession including successful completion of recertification testing as required by the National Commission on the Certification of Physician Assistants (NCCPA) and the Georgia Composite Medical Board.